The concept of outsourcing is relatively new in Côte d'Ivoire. Many companies are still hesitant to outsource their services even though it's to their disadvantage. What are the advantages of outsourcing? One of the advantages of outsourcing is job creation. Outsourcing creates jobs that offer quality living standards to staff members while not requiring extensive training. In this sense, outsourcing is a tool to fight poverty. Another obvious advantage of outsourcing is that it allows companies to focus entirely on their core competencies and therefore work more productively. Oftentimes, outsourcing leads to cost reduction and better quality. Why are companies still hesitant to use outsourcing services? Companies simply don't know this market in Côte d'Ivoire and thus are hesitant to use outsourcing services. It's new in Côte d'Ivoire. Côte d'Ivoire is a rural country; it isn't very business-oriented. Companies need to know about the advantages of outsourcing and how outsourcing can help save time and money. Government assistance is greatly needed in areas such as taxes and social measures, notably for working women. This is a matter of social development. Resorting to outsourcing services could be a way of tackling poverty. 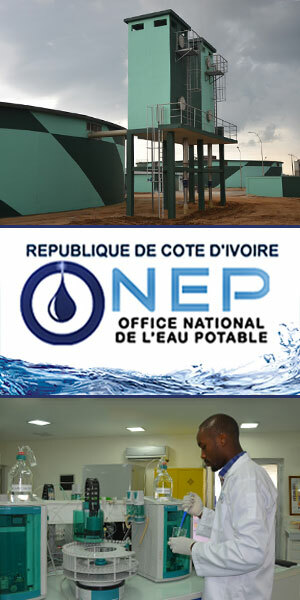 We have been awarded 4 times as company offering the best quality services in Côte d'Ivoire. The wellbeing of people is our priority, which is reflected in our services as well as our treatment of employees... If one looks at small and medium sized exporting enterprises in Côte d'Ivoire, GLS Catering is by far the best. GLS is the leader in outsourcing and facility management. What is GLS and what services does it provide? GLS has been in the catering business since 1999. The company provides catering, housekeeping, facility management, cleaning, and laundry services. The group also provides take-away services. GLS Catering is active in 8 countries: Côte d'Ivoire, Ghana, Kurdistan-Iraq, Gabon, Benin, Congo, France, and the UK. Its strategy varies depending on where it operates. GLS adjusts to people's needs. The company has experience in providing services worldwide and always tries to be a privileged partner to its clients. The company has chosen to answer people's needs in different countries. This is highly demanding in terms of food safety and hygiene. GLS has very strict regulations such as HACCP. Mad cow disease and the bird flu completely changed the sector and brought stricter regulations. GLS makes a point to offer the best quality service and is ISO 9001 compliant. GLS has been awarded four times for being the company that offers the best quality services in Côte d'Ivoire. The people's well-being is the GLS’ priority, which is reflected in its services as well as in its treatment of employees. GLS Catering has come a long way since its inception and has developed greatly, but it will grow even more. If one looks at small and medium sized exporting enterprises in Côte d'Ivoire, GLS Catering is by far the best. The team is a rainbow team; GLS has had British, French, and almost all other nationalities on their team. (This is why you can see all sorts of flags behind me.) The GLS’ vision is based on its African history; it is based on respect, responsibility, and moral standards. GLS knows how to assist others and provide exactly what they need because manners and hospitality are part of the African culture. The sector is evolving quickly and is now present on the Internet and social media. GLS is constantly adjusting to market trends. The company’s clients are businessmen and GLS has to work with their time constraints. Côte d'Ivoire has gone through a recent crisis and now has the chance to start fresh. Côte d'Ivoire is culturally diverse; it's a land of immigration and is open to all. President Ouattara was elected 100 days ago and has since been setting the structure and tools for a modern economy by reducing inflation, controlling government expenditure, and managing money movement. From this moment on, Côte d'Ivoire will have all the pre-requisites for successful investment. The country has the best port in West Africa; it is well equipped, it has a good airport, and a large number of roads are under construction. GLS will be present on the market, exporting its services and setting an example for young generations, showing them that development is possible when one puts effort into a project. How does GLS operate in Côte d'Ivoire? Is the context different? The context is quite different. In Côte d'Ivoire, GLS operates mainly in offshore business. 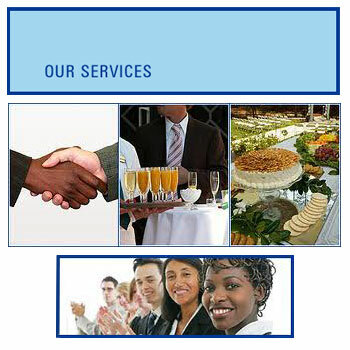 In Ghana, the company provides take-away services and Business and Administration. In France, GLS provides home care services. The services all come down to taking care of people wherever they are. Catering for people is a very important aspect of GLS’ ethos. In everything GLS does, human beings are central. Its services revolve around safety and hygiene. In Côte d'Ivoire, GLS is involved in catering, oil rigs... What are the trends in the market, and what are the company’s future prospects? GLS has to adapt to the market. In the catering business, people don't want to waste time. They want their food to be delivered on time and to be good quality. For that reason, GLS makes hygiene a priority at all times. The company is also exploring the fact that a lot of people don't want to do their shopping. They would rather have someone do it for them and bring it to their home. This idea is something to think about for future business. Ivorian people are also very keen in hiring nannies to look after their children. GLS is thinking of offering home services for the elderly, but they need the government's support and incentives for such initiatives. Why choose GLS Catering over other market players? GLS is a company that makes people a priority. The ethos of the company is very important. 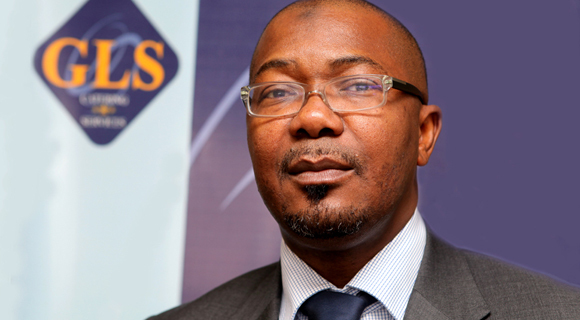 GLS has developed an innovative concept in Côte d'Ivoire whilst having international standards. GLS thinks global and is involved in many Western countries. The services it provides are therefore of the best quality and hygiene is always paramount. GLS is also creating jobs for a large number of people to access a better lifestyle because these jobs are rather simple and do not require a high education.